The winds of change are blowing all around the world, challenging the geopolitical establishments that have long been taken for granted. 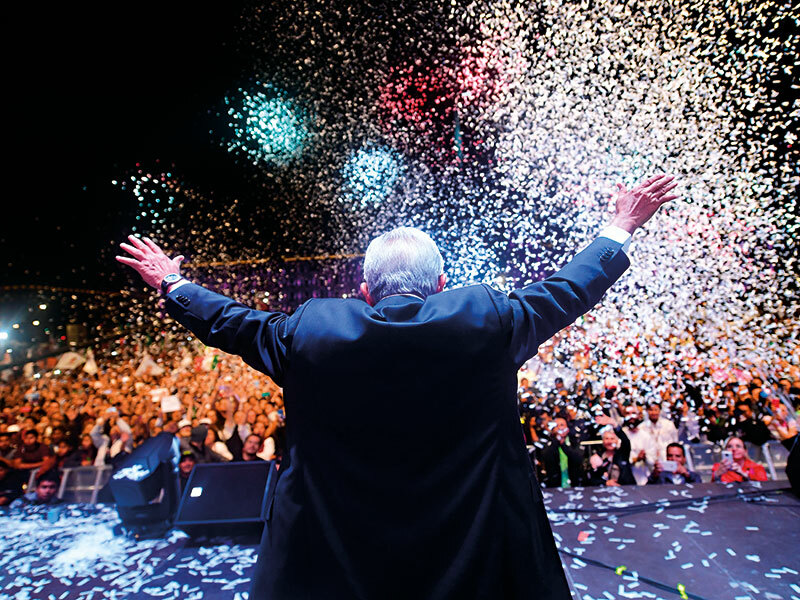 Mexico is no exception: in July 2018, Andrés Manuel López Obrador – the leader of a new left-wing party, Movimiento de Regeneración Nacional (Morena) – won the country’s presidential election. Since that day, the government of the previous Mexican president, Enrique Peña Nieto, provided all the facilities and support for a smooth and efficient power transition, which officially took place on December 1, 2018. The long transition period between election and inauguration meant that, for some time, there were technically two Mexican presidents: one constitutional president, who holds the official power, and a president-elect. Shirebrook Commodities wishes the best for President López Obrador and the new Mexican Congress as they attempt to plot a new path for Mexico in the face of fresh challenges. It also acknowledges all the efforts made by the administration of President Peña Nieto, which made a number of reforms in the energy and labour sectors, providing more strength for the future of the Mexican economy. Morena is formed of many dissident politicians from Mexico’s other political parties, as well as several newcomers who had no political experience but good credentials. One such member is Jonathan Heath, a widely respected economist and self-proclaimed outsider, who López Obrador has appointed as deputy governor at the Bank of Mexico. Another is Graciela Márquez Colín, who – with a PhD in economic history from Harvard University and membership at the National System of Researchers – now leads the country as its economy secretary. Many of the pledges on which López Obrador based his campaign were described as populist. Some involved high costs that would impact the country’s budget, such as those related to hydrocarbons and public transport. Mexico’s new governors will need to discern what is viable and will bring value to the country in the future. Since the 2008 financial crisis, Mexico’s economy has performed well, with a growth rate above that of other Latin American countries. This year, Mexican consumer prices and inflation rose by less than expected. The local currency has been stable since the election and the formation of the new economic trade pact between Canada, the US and Mexico. Meanwhile, US President Donald Trump has initiated a sort of economic world war, and his first win was the United States–Mexico–Canada Agreement. This free trade agreement is more beneficial to the US than the North American Free Trade Agreement was, but it was also a beneficial agreement for Mexico and Canada since it comes with the goodwill of Trump. However, a number of issues have arisen in recent months, causing turmoil in Mexican financial markets. Firstly, López Obrador has called for a referendum on whether the location of the New Mexico International Airport should be changed. Then he stated that Pemex, Mexico’s state-owned oil company, would not export any more oil just as Fitch downgraded the company’s credit rating. Even more recently, 10,000 Central American immigrants broke through Mexico’s southern border to travel north into the US. But despite the fast-changing economic and political pressures facing the country, Mexico has proven to be a strong, industrialised nation with good infrastructure for manufacturing cars and aerospace parts. Mexico also exports engineers and nurses to Germany, the US and other countries that value professionals from Mexico’s prestigious universities. Even though it shares a 3,000km border with the US, Mexico has always maintained its own identity and a cultural independence that only strengthens as the economy improves. Mexico is not perfect, however; inequality still plagues its society. The new administration hopes to lead the country on its path to progress and to improve the quality of life for all of Mexico’s citizens.